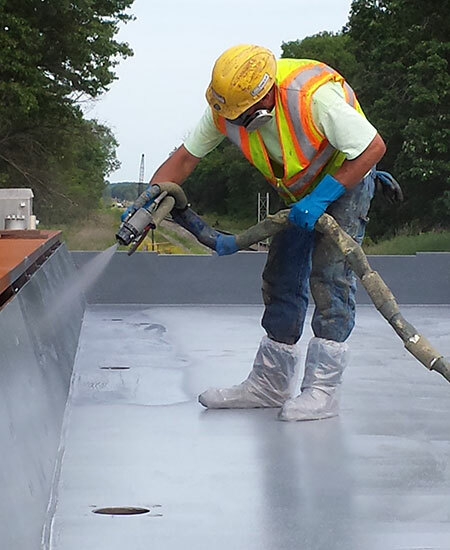 the Midwest's premiere high-build protective and restoration coatings specialist for your projects. and Peace of Mind to our clients in the Water, Wastewater, Stormwater Management, Transportation, Power & Telecom, Industrial and Commercial fields. the only thing that endures longer than our coatings is the relationship we create with our customers and suppliers. offering only thoroughly trained, uncommonly experienced technicians who do what it takes to get your job done right. in an atmosphere of mutual trust, respect and cooperation. We really care about what's best for you. 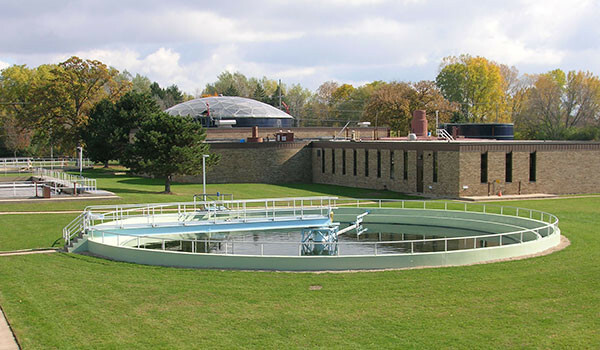 We’re excited to be part of the important work of providing safe drinking water and preserving a clean, healthy environment through maintaining, restoring and rehabilitating infrastructure assets in collections and treatment systems. 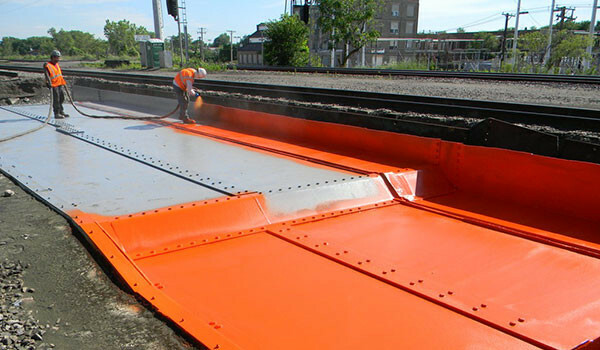 We help provide for safe, uninterrupted transportation by maintaining and restoring vehicular traffic infrastructure surfaces for railroad, DOT, municipalities and airport applications, with a concentration on bridges. 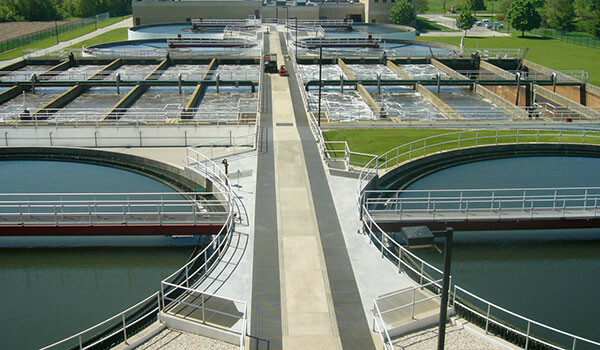 Ensuring safe, uninterrupted service by protecting, maintaining and restoring underground structures, storage tanks and channels, utility vaults, and primary and secondary chemical containment. Preventive and remedial coatings for production infrastructure, waste stream assets and onsite treatment facilities for food preparation, rendering, mixing and more. We’ve got you covered with lasting solutions. When you hire Spectrum Contracting, you’re partnering with a vastly experienced resource advisor and contractor who works as consultative partner for the lasting success of your project. You can trust us, because we genuinely want what’s best for you. That’s what drives every decision we make in achieving the right solution for your challenges. Accurate Assessment – More than half a century of industry experience and long vendor relationships allow us to accurately determine core causes of problems and come up with best solution. If we’re not the answer, we’ll put you in touch with the company that can best help you. The Right Stuff –We’ve developed trusted relationships with so many solution providers that we can help you make the best choices, then execute those solutions safely, efficiently and effectively. Quality First – Our pricing is competitive, and we know you’re buying value and not price, so we emphasize quality materials and expert installation. 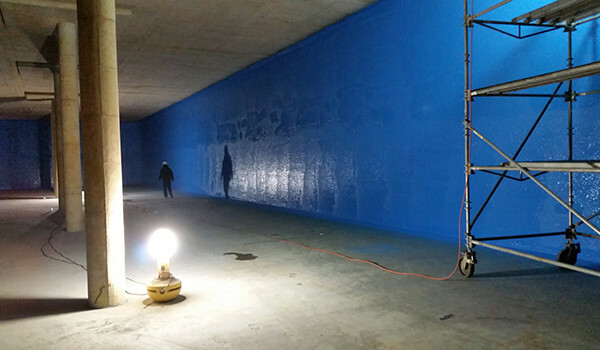 Long-term Solutions – Our installations far outlast conventional coating and lining solutions, and we provide guidance on all available options to engineers, contractors, facility managers and asset owners. We have a constantly evolving slate of ongoing projects within our specialty markets, bringing effective results to our customers, efficiently and within budget. One hallmark of our business is that we always seek a “win-win” relationship, in which we produce work we’re proud of, and our clients receive what they need in an atmosphere of cooperation, trust and mutual respect. The only thing that lasts longer than our coatings are the business relationships we form with our customers. Find out how we can maximize desired results and peace of mind for you, within your timetable and budget, whatever your challenge or project may be. We provide these core services across all markets served, and a few more specialized to each industry niche. Call or click to find out how we can guide you to the right solution for your particular project, then execute it with the expertise of more than five decades of experience. 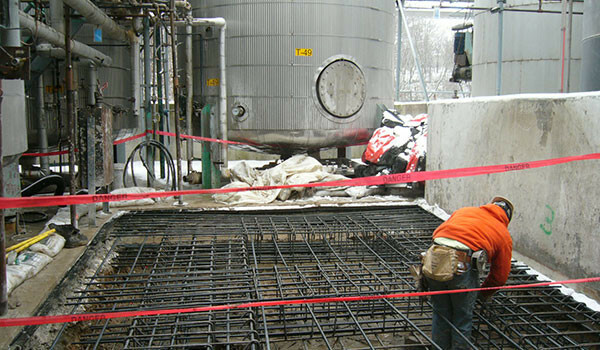 Partner with the Midwest’s premiere high-build protective and restoration coatings specialist for your project.